Actress Shannen Doherty's breast cancer apparently has gone into remission. After a two-year public battle with the disease. According to an article by Umberto Gonzales in The Wrap over the weekend, Doherty wrote on Instagram that she has "no idea how to react," and added that "for now, I'm going to just breathe." But the "Beverly Hills, 90210" television star is realistic. 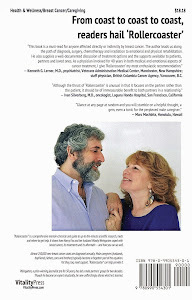 She noted that "as every single one of my fellow cancer family knows, the next five years is crucial. Recurrences happen all the time." Meanwhile, she said, "Decisions. Reconstruction, which is several surgeries. Decision on taking a pill for the next five years comes with its own set of problems and side effects." Her over-all feeling, however, was that "I am blessed." Her battle became public when, according to Gonzales, "she sued her former management firm after her health insurances lapsed," which led to a delay in having her breast cancer diagnosed. The star has undergone chemotherapy and a mastectomy. 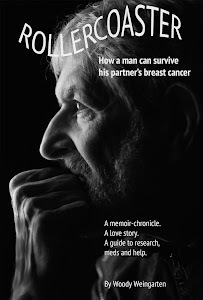 Details about the disease, reconstruction, side effects and follow-up treatments can be found in "Rollercoaster: How a man can survive his partner's breast cancer," a VitalityPress book I, Woody Weingarten, aimed at male caregivers.